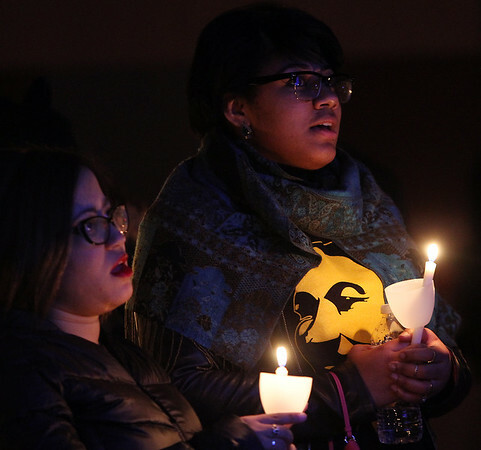 Salem State University graduate student Leslie Cirineo, left, and sophomore Kairiana Perez, right, sing along to "Lift Every Voice and Sing" or the Black National Anthem, at a candlelight vigil and Freedom March which started in Veterans Hall inside the Ellison Campus Center on Martin Luther King Jr. Day. DAVID LE/Staff photo. 1/19/15.